Since I had written a song for Dallin, it seemed appropriate to write a song for Sophie, who was also at her first Science Camp in 2015. Neat chord progression for the chorus, with a neat beat. Typical last word rhyming: quaint, faint, ain’t, and saint. As I came up with the chord progression, I looked over and saw the poster Andrea framed for me of the Byzantine Deesis mosaic (1261) of Jesus in Hagia Sophia in Istanbul, Turkey, which image is my theme for this work (see image for Psalm 002). The halo around Jesus made me think of Catholic saints, and so this was probably the first word as I looked for words that rhymed with it for the chorus. Then the name of the song became Saint Sophie. It ties to a beautiful little statue Rachel and Garrett gave us after their trip to Spain. They visited the Virgin of Montserrat sanctuary, which is identified by some as the location of the Holy Grail in Arthurian myth. 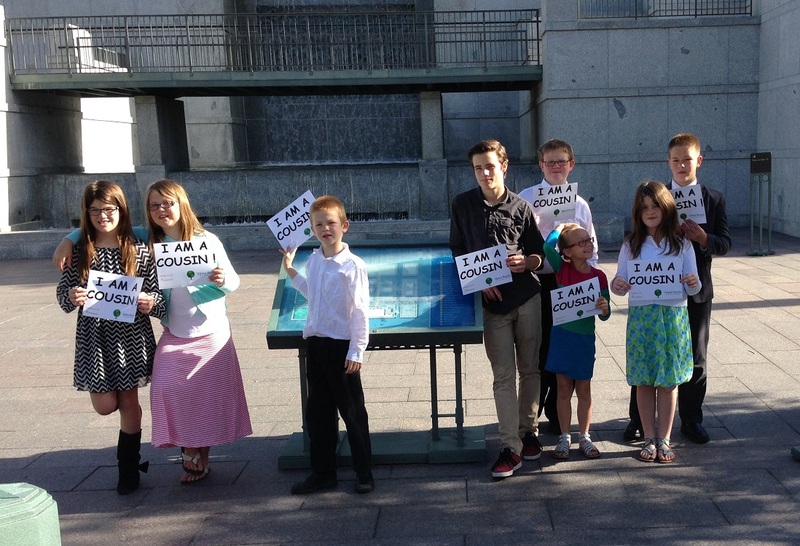 Verse 1 talks about Sophie and Dallin starting Science Camp off right with their respective baptisms. The second verse talks about the baptism party in the park, and her Dad, Joshua Waldron, teaching the kids to shoot a gun at his company, Silencer Co. On Sunday morning we went to see Music and The Spoken Word at the Conference Center, and then went to the Utah Science Museum up above The University of Utah. Sophie was bugged by the boys when she tried to go to sleep. When we got to Boulder, Utah there was a rope between two trees at the American Indian Museum. Sophie was very good at walking between the trees on the rope (cable). She drove me crazy singing 99 bottles of milk on the wall. 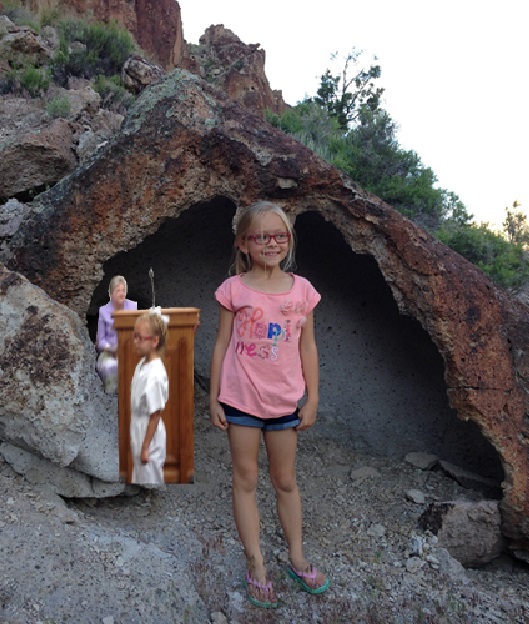 We went to Parowan Gap and saw a sun dial and a big rattlesnake. This song talks about shooting off bottle rockets, double rainbows and Aunt Sara’s and Uncle Des’ place, and our regular trip to the swimming pool. Is Sophie a saint? Yes! She is a Latter-Day Saint.